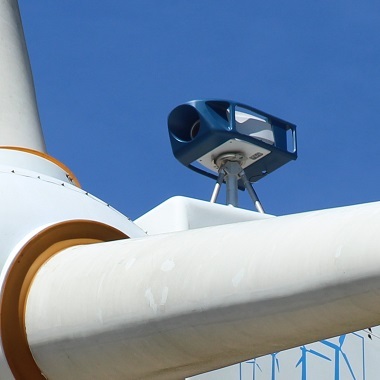 The YawAdvisor™ is a turbine mounted Laser Wind sensor (Wind LIDAR) that enables accurate wind direction measurements immediately in front of the wind turbines, avoiding disruptive wind turbulence in the traditional measurement zone behind the blades. 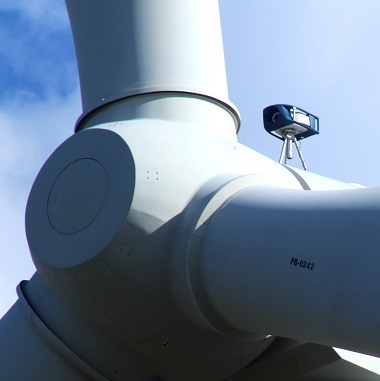 Specifically designed to provide the wind farm owners, operators and maintenance companies a fast, reliable, flexible and economic tool to assess the proper alignment of wind turbines. YawAdvisor™ provides valuable information regarding the angle between the actual wind flow and the nacelle centerline, up to 10 m ahead of the sensor. Based on the information provided by the YawAdvisor™ during the measurement campaign, the wind farm owner, operator & maintenance company can decide on further actions needed to optimize the alignment. Our innovation is the culmination of 15 years of research and expertise in optoelectronics conducted within EPSILINE in partnership with certified laboratories. Understanding the behaviour of laser sources, combined with an intelligent electronic detection is at the heart of the systems we develop. Our research team consists of specialists in electronics, embedded systems, micro-sensors, laser optics, velocimetry and wind data analysis. Measurements of wind direction with laser are based on the well-known principle of the Doppler Effect: Laser beams are reflected by particles (dust, pollen, etc) carried by the wind, a fraction is collected and then processed to derive the radial velocity of the particle. This information is used to calculate the direction of the wind accurately. 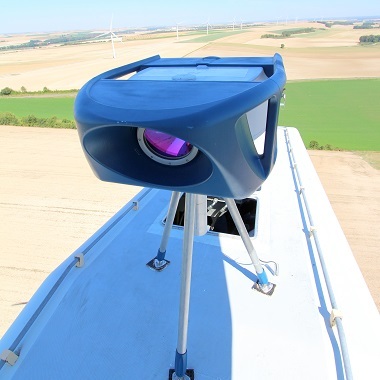 EPSILINE is a SME company which develops wind measurement solutions based on laser systems (LIDAR) and serves the wind energy industry. The company is located in Toulouse, France. EPSILINE is an innovative company offering ‘state-of-the-art’ technologic solutions to the global wind industry, keeping a fine balance between high-end technology and the economic reality of wind farms. Become the leading global supplier of intelligent wind measurement systems for the wind industry.